Our client is a large and long-established producer of paper and board laminates used for consumer packaging, within the premium retail sectors such as fine spirits, tobacco, confectionery and beauty. Laminated packaging boards are widely used for high-end folding cartons, packaging inserts and book covers which are fully over-printable on the high-speed commercial printing lines. For a product to succeed today, the packaging has to stand out from the crowd. Their innovative designs and use of metallic, holographic and pigmented base materials enhance the visual appeal of products, helping their customers to communicate brand values and authenticity. With health warnings increasingly dominating tobacco packaging and the escalating need to combat counterfeiting, tobacco companies are demanding innovative, complex and specialist packaging that deliver greater visual impact and shelf appeal whilst offering maximum counterfeit protection. Being well positioned to meet these growing requirements, our client invested heavily in specialist, high-performance roll-to-roll lamination machines, with web widths of up to 1.5m, running at close to 300 metres/min (985 fpm). However, any defects such as wrinkling, bubbling due to air pockets or waving, blistering, dimpling issues due to moisture on the surface of packaging material, devalue the product and the brand, resulting in a loss of business and potentially opens the door to counterfeiters. Less than perfect tobacco packaging enables counterfeiters to produce convincing copies using widely available “offset” printing technology. Whereas error free and complex, metallic and holographic base packaging, using specialist manufacturing techniques, creates a technical and economical barrier to illicit trade. Being committed to the highest standards of quality and technical excellence, our client initiated a program to revamp their existing quality control processes. 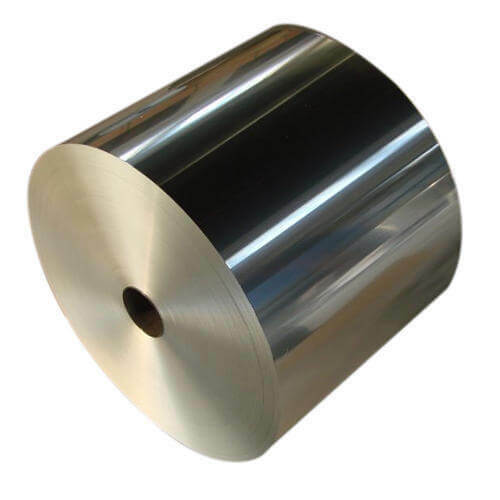 The aim was to produce metallic laminated material that met the strict quality specifications set out by their customers. As with many graphic finishing processes, film lamination can create its share of challenges. Many factors such as temperature, static, moisture, dust levels and roll tension issues can create lamination problems, resulting in creases, tears, spots and holes on the laminated surface. Even when some of these defects were caught, the operator could only estimate their location, resulting in the inaccurate placement of marker tabs. When the full rolls were mounted onto a slitter, the operators had to visually inspect large sections of the roll, before and after the marker to locate the defect. This extended the time taken to process each roll and increased overall production costs. 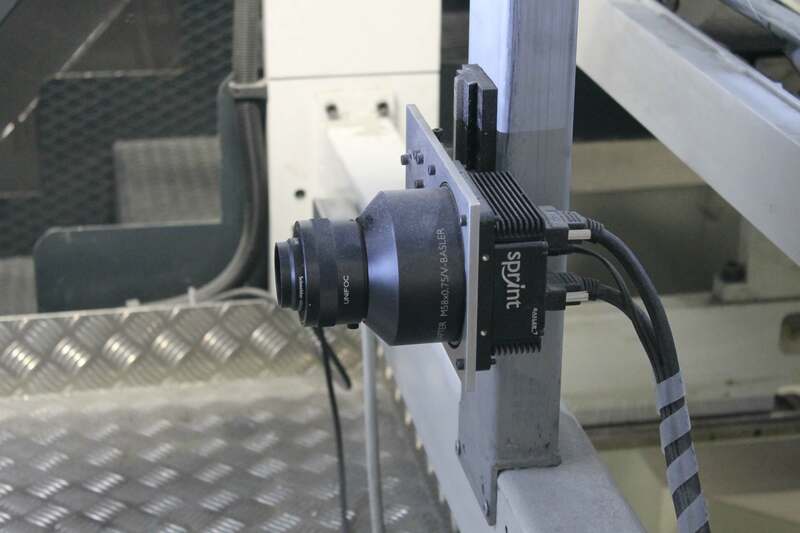 Lake Image implemented its Discovery SmartPQ surface inspection system directly onto the Laminating line, with an 8K line-scan camera to capture high-resolution images of the entire 1.5m wide web, running at speeds up to 300 m/min (985 fpm). Expertly mounted LED illumination enabled sub-millimetre defects to become visible. Discovery SmartPQ’s intuitive interface enabled operations to quickly set-up the system to analyse and detect common surface defects. Tolerance levels were easily set to enable the system to detect defects beyond a certain size, or if the number of defects exceeded a specified threshold. This enabled them to meet the precise quality specifications set by their customers. When a defect was detected, Discovery SmartPQ triggers a tabber that marked the exact location of the defect on the roll edge. A detailed log of every defect, its size and location on the web is recorded, together with associated job, time-stamp and operator data. This provided them with useful management information to monitor and report on the quality of the raw materials used, the impact of environmental conditions and the quality of each roll produced. Today the Discovery SmartPQ system is an integral part of their daily operation. Being intuitive and easy to use, the SmartPQ system has become a big hit with the operations staff. This solution has allowed our client to deliver a quality product in an increasingly demanding packaging environment and has strengthened its reputation as one of the leading suppliers of laminated packaging products.